I am participating in 3 swaps for the Grand Vacation and this one is just for the South Pacific achievers. 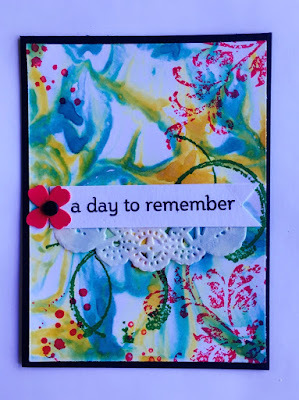 We decided that a Project Life sized card would be ideal for when we all create our wonderful Project Life Memory albums from this trip of a life time that we've earned through being a Stampin' Up! demonstrator. My card is quite generic, but I've been inspired by the curvy lines of Gaudi architecture that is found in Barcelona and the vibrant and colourful ambience of this Spanish city. 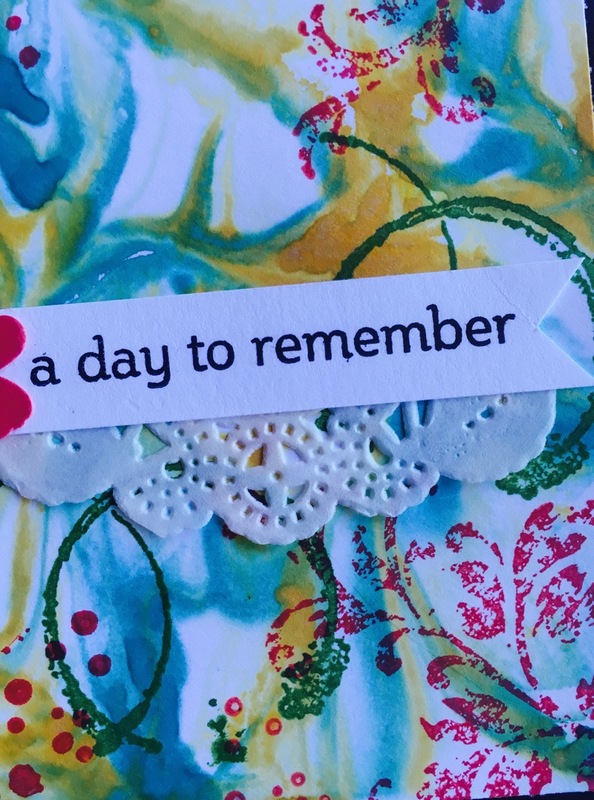 The card is 3 inches x 4 inches and uses one of my new favourite stamp sets from Stampin' Up! Please forgive the "blueness" of the photos - I'm not sure what happened when I was taking them, but it only seems to be the white that has a blue tinge. (I will take new photos when I return from the trip.) Classic ink colours used are: Watermelon Wonder, Cucumber Crush, Crushed Curry and Bermuda Bay. I used the shaving cream technique for the background and stamped over the top with a variety of stamps from Timeless Textures. Then a little banner with a greeting from one of my Project Life stamp sets, a small portion of a Tea Lace doily (and who would have thought they would be on the retirement list? ) 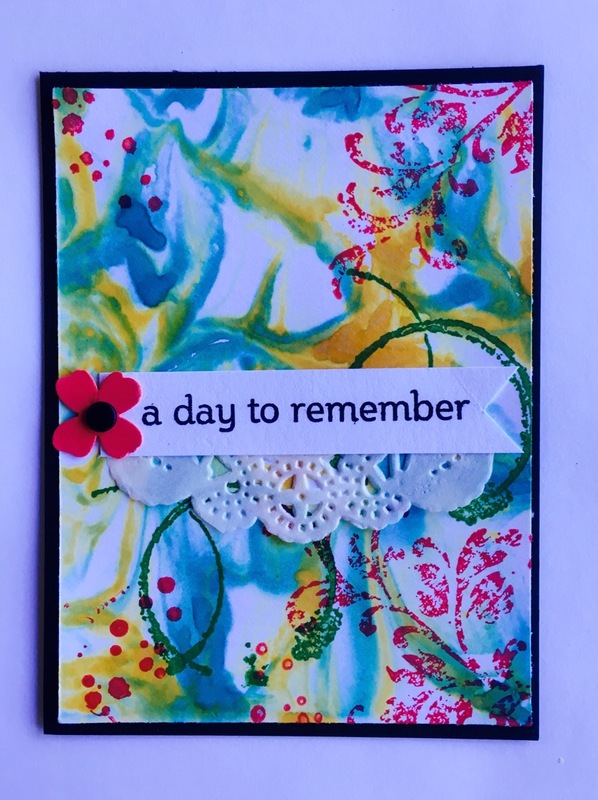 and a punched flower in Watermelon Wonder card complete the card. Great fun making these and I can't wait to see all the other creations from my clever colleagues.